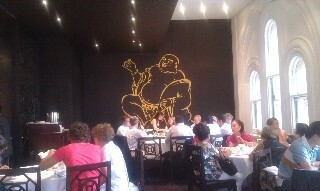 Fat Buddha is one of the newest Chinese/ Yum Cha restaurants in Sydney. Restaurant description: A casual dining Chinese Restaurant located in the heart of Sydney city in the Queen Victoria Building, a short walk from Town Hall Train station. Serving Yum Cha and al a carte Chinese meals all day long. 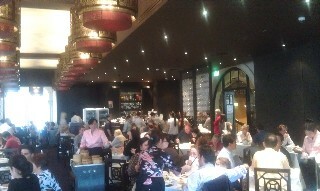 Fat Buddha is one of the newest Chinese/ Yum Cha restaurants in Sydney. Review submitted 12th February 2012 - from Caroline. 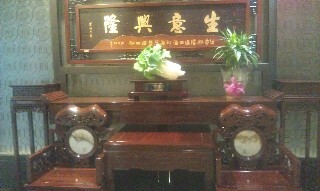 A really good Yum Cha restaurant. The dishes they serve are not greasy and oily like alot of other Yum Cha restaurants in Sydney. A good selection of dishes and all good quality. One of the best Yum Cha meals I have had in a long time. I went in with 7 colleagues for lunch on Friday and we were all impressed with the quality of the food. I'll definitely be back now that I know this restaurant is here. Have you dined at Fat Buddha Chinese Restaurant Sydney?